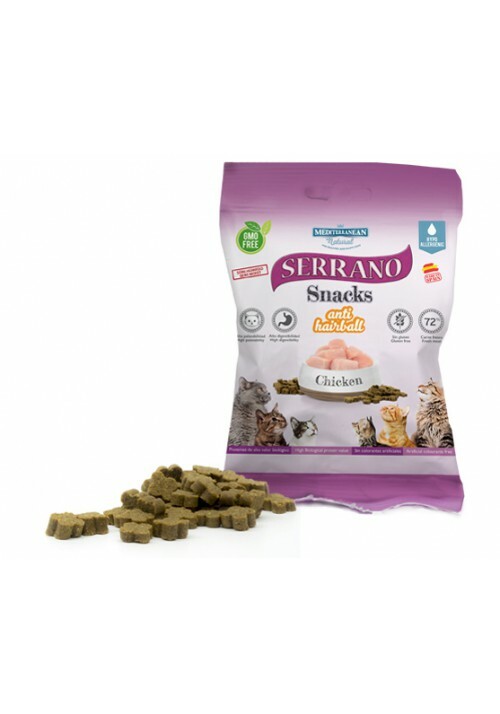 Serrano Snacks from MEDITERRANEAN NATURAL for cats are presented in small pieces, ideal for tasting due to their size, texture and flavour. 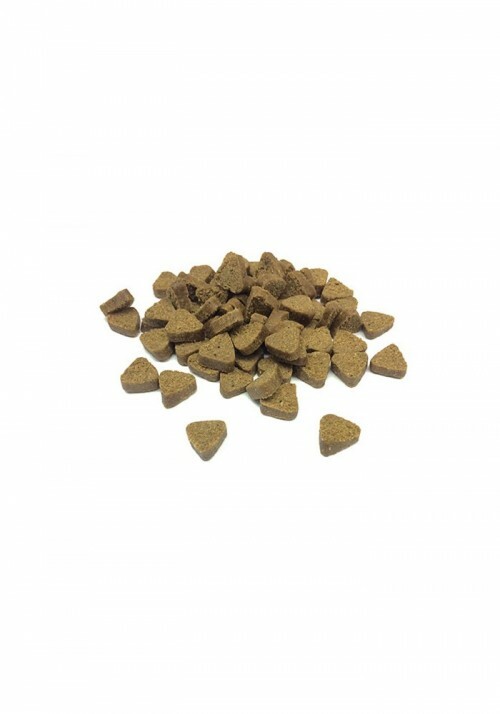 Made with fresh meat and fish cooked at low temperature, they provide all the nutrients of the raw material and are the ideal food supplement for your cat. 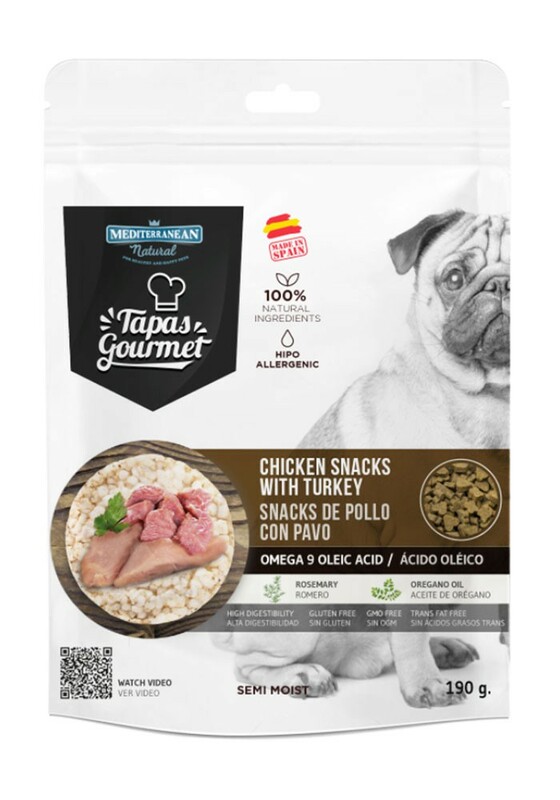 The “Tapas Gourmet” of MEDITERRANEAN NATURAL are a 100% natural snackmade with fresh meat and fresh fish of the highest quality. 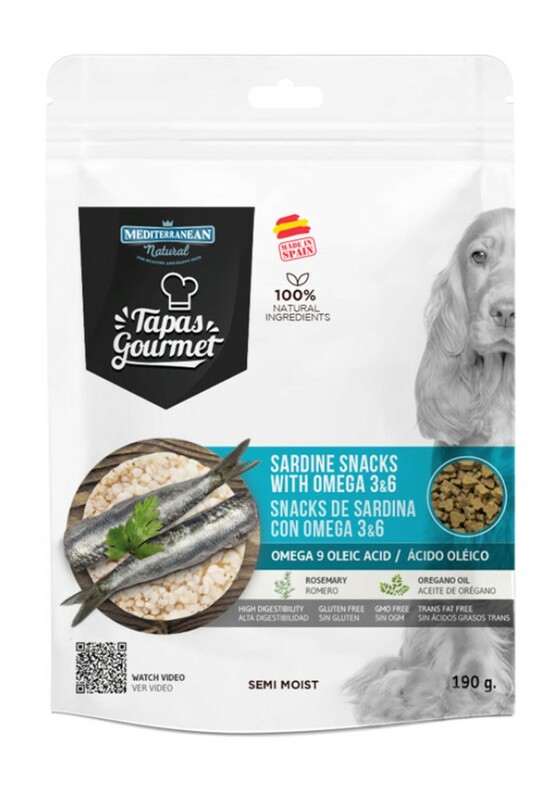 MEDITERRANEAN NATURAL Serrano Snacks, delicately cut into small bone shape pieces, guarantee your pet’s safety, whilst maintaining their purity and all their nutrients, reflecting a natural diet and containing 70% fresh meat (60% in “Serrano Snacks for puppies”). 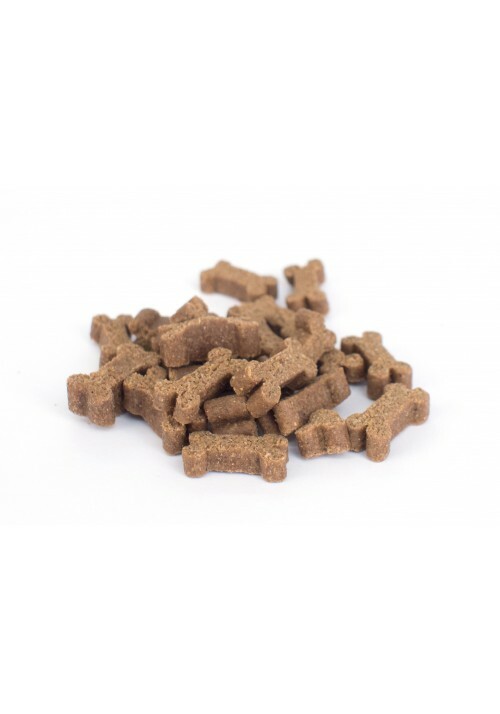 Delicius Premium sticks for dogs with a high fresh meat content as well as fresh fish, they are individually vacuum sealed to be fresh al all time till it is consumed. 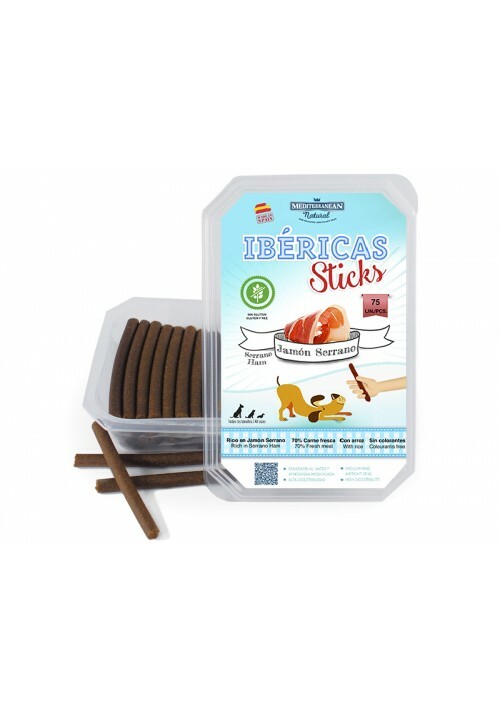 Delicious premium sticks, made with 70% fresh meat (60% in “for puppies sticks”), vacuum and airtight seal to perfectly preserve flavours and aromas. 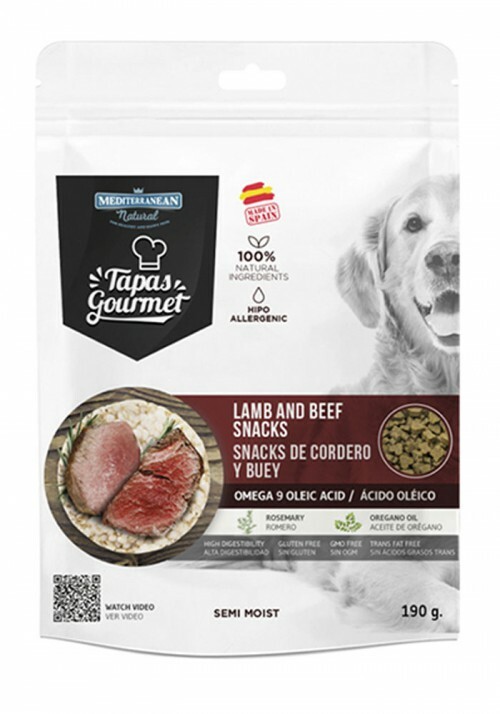 Serrano ham is rich in protein and boasts many benefits for a dog’s health (including better fur and skin). 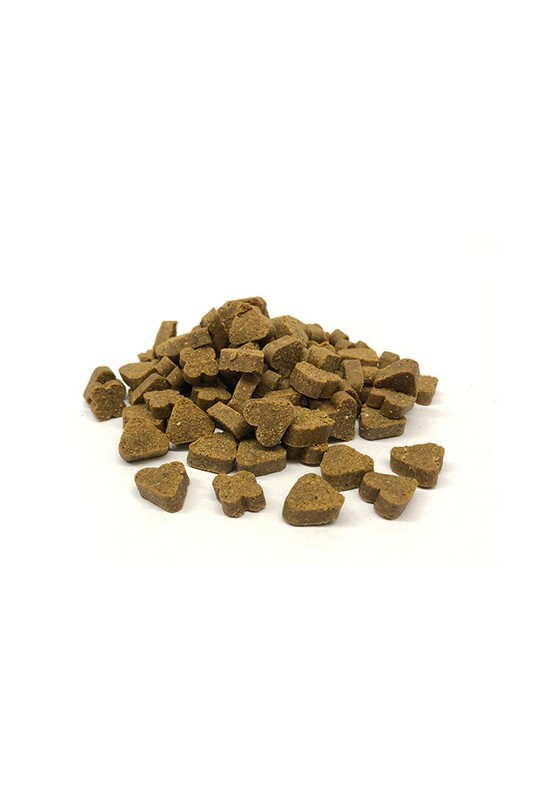 Serrano ham bones are ideal for strengthening your pet’s teeth whilst removing tartar. 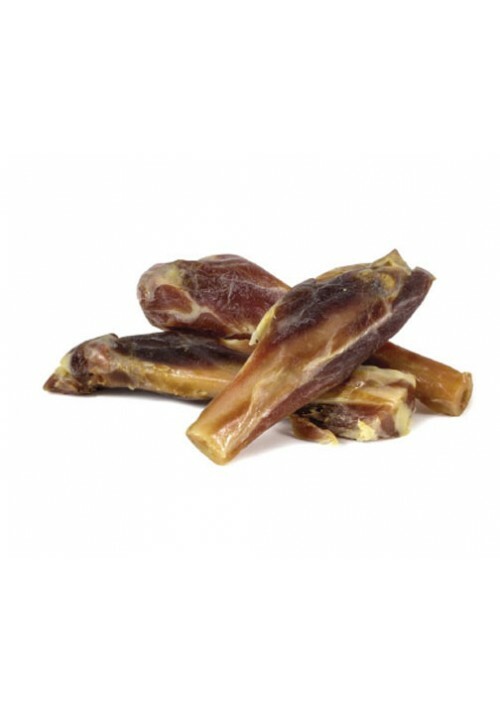 MEDITERRANEAN NATURAL Serrano Ham Bones are not boiled, but are subjected to a natural drying process in order to maintain all of their nutritional values and prevent them from splintering so easily when chewed or digested by your pet. 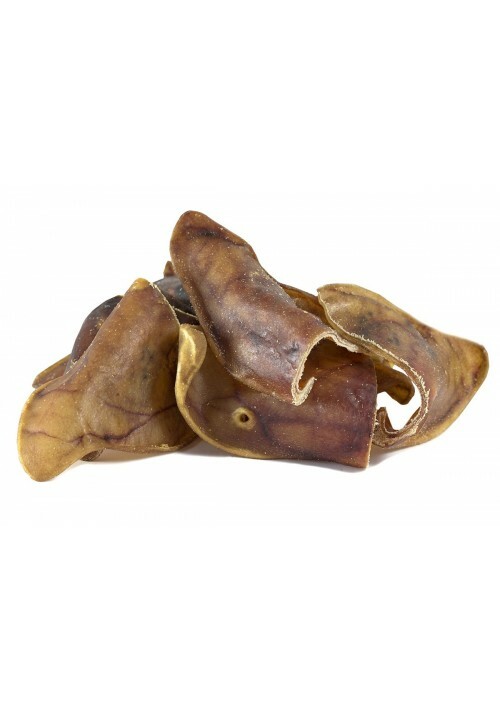 MEDITERRANEAN NATURAL pig ears are subjected to a drying process that allows them to preserve all of their nutritional properties. 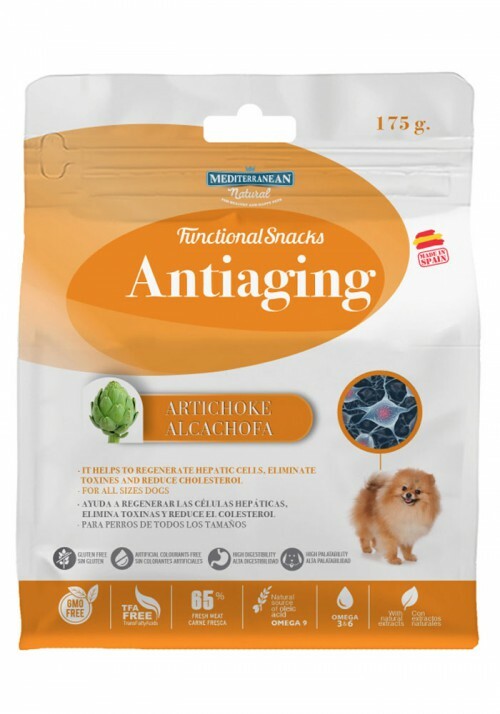 They are the ideal snack for strengthening gums and cleaning tartar from your dog’s teeth. 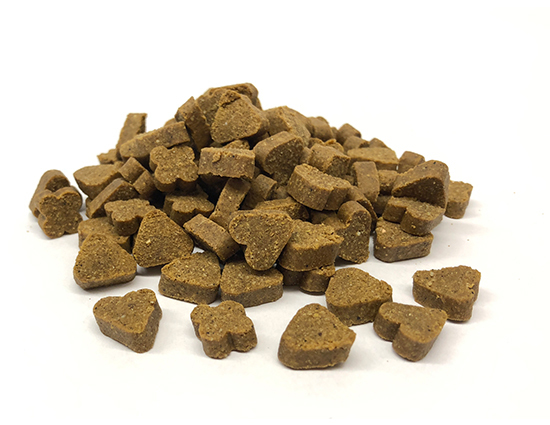 Mediterranean Natural Delicias is a complete semi-moist dog food for adult dogs and puppies with a high palatability and digestibility. Protein: 27.7%, Fat content: 7.1%, crude ash: 12.4%, fibre: 1.02%, moisture: 11. 3%, 3 99 Kcal/100g. calcium: 2. 7g/100g, phosphorous: 1.3g/100g, magnesium 0.17g/100g, omega 3: 0.39g/100g, omega 6: 0.74g/100g; omega 9: 1. 1g/100g.